It is with great sadness that we announce the passing of Jamie Slade who died unexpectedly on March 24. Jamie had been a long-standing, well respected employee of Osler for many years. He started his career in 1991 as a security guard at Peel Memorial Hospital and went on to become an Environmental Service Representative until 2002 when he left Osler. Jamie returned to Osler in 2007 working with Carillion. He went on to hold a series of roles with Osler as Environmental Services Manager (EGH), Quality Improvement Manager, Support Services and Corporate Security Manager until 2015. Most recently, Jamie worked as an AFP Manager at Infrastructure Ontario. An avid hockey enthusiast, Jamie leveraged his passion to give back to his community as event co-Chair for Osler Foundation’s Hockey Night for Osler and as Team Captain for the Hospital Dragon Boat Team. Jamie is survived by his wife, Giustina Slade, a Respiratory Therapist at Osler, and his two children. His loss will be deeply felt and our thoughts are with his family at this difficult time. Visitation will take place at the Ward Funeral Home, 52 Main Street South, Brampton, on Monday, March 27 from 2 pm – 4 pm and 7 pm – 9 pm. The Funeral Mass will take place on Tuesday, March 28 at 11 am at St. John Albion, 16066 Gore Road, Caledon. Flags will be lowered on Tuesday March 28, in his memory. The family has shared a preference for charitable donations to be given to the Heart and Stroke Foundation of Ontario. Terrible news. 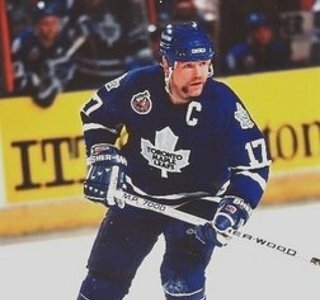 He was known as RVD here on TMLfans So sad seeing guys passing so young, leaving a wife and a couple kids. Heartbreaking, may his god go with him. Very sad. My condolences and prayers to his family. Very sad news, condolences to his family in this difficult time. Prayers are with them. Unfortunate news to hear. Condolences to the family. The name did not ring a bell, but RVD certainly does. If I recall correctly, he was around when I became a member back in 2001. He does sound very familiar. Awful news My condolences to the family. My condolences to his friends and family. I remember RVD from a few of our past hockey games. Good guy. Jumping in late; I echo the sentiments of everyone here. Jamie will truly be missed. As Damian mentioned, over the past couple of summers we'd have an annual golf outing - he was a terrific companion. 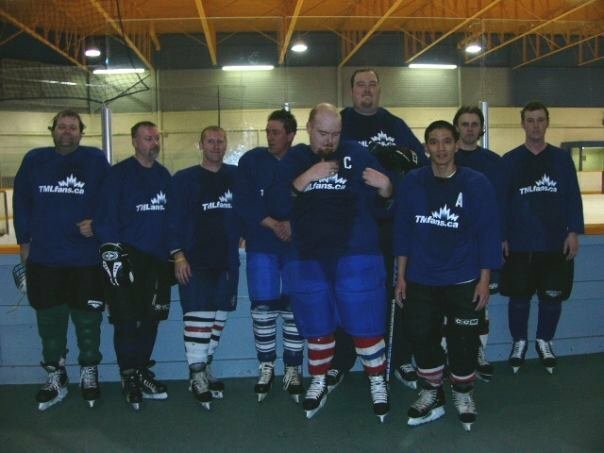 Some of you may remember him from our pick-up hockey games, he is second from the left in this photo. I attended his memorial service on March 28. Sombre event. A tremendous loss for his family, friends, and the TMLfans community.